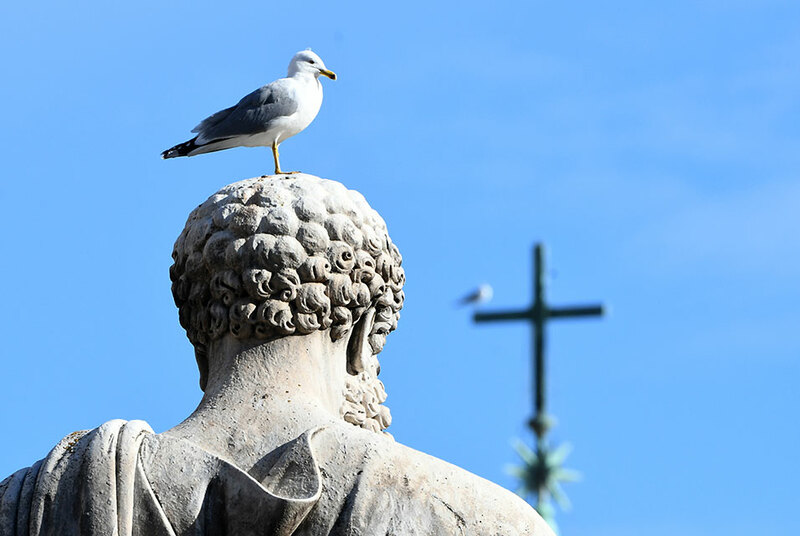 In this file photo a seagull stands on the head of St Peter's statue during the Sunday Angelus prayer, on November 19, 2017 in Vatican. PINTO / AFP. VATICAN CITY.- China's Forbidden City and the Vatican Museums are set to swap 40 works of art as part of efforts to bolster diplomatic relations between the Communist country and the seat of the Catholic Church. The works -- including Chinese ceramics and paintings kept at the Vatican -- will be displayed at exhibitions due to open simultaneously in March at both the former seat of the Dragon Throne in Beijing and the pope's ethnological museum. The Holy See and China, which severed diplomatic ties in 1951, are attempting to warm relations after decades of tension -- though the long-awaited rapprochement has currently slowed over who gets to ordain bishops. "I am firmly convinced that the imminent exhibition will open a new chapter in cultural exchanges between the Chinese people and the Vatican," said Zhu Jiancheng, general secretary of the China Culture Industrial Investment Fund. "The event is very important to promote mutual understanding and mutual trust. It will strengthen friendship and promote the normalization of diplomatic relations between China and the Vatican," he told journalists on Tuesday. Among the 40 works the Vatican will be lending, 38 will come from its "Anima Mundi" ancient Chinese collection. The 39th will be loaned from the Pinacoteca (art gallery), while the last will be a work that artist Zhang Yan donated to Pope Francis. The exhibition in China will begin in Beijing before heading to four other Chinese cities. Twelve of Zhang Yan's paintings will be included in the exhibition at the Vatican. China's roughly 12 million Catholics are divided between those loyal to Beijing, whose clergy are chosen by the Communist Party, and members of a so-called "underground" church which swears allegiance to the Vatican.